Township 7 Vineyards and Winery has moved into its second decade with a smart new label and a partial change in ownership. Okanagan restaurateur John Tietzen has sold his interest in the winery to a Vancouver investor. Because that investor wishes to remain silent and not be involved in winery operations, the identity has not been released. 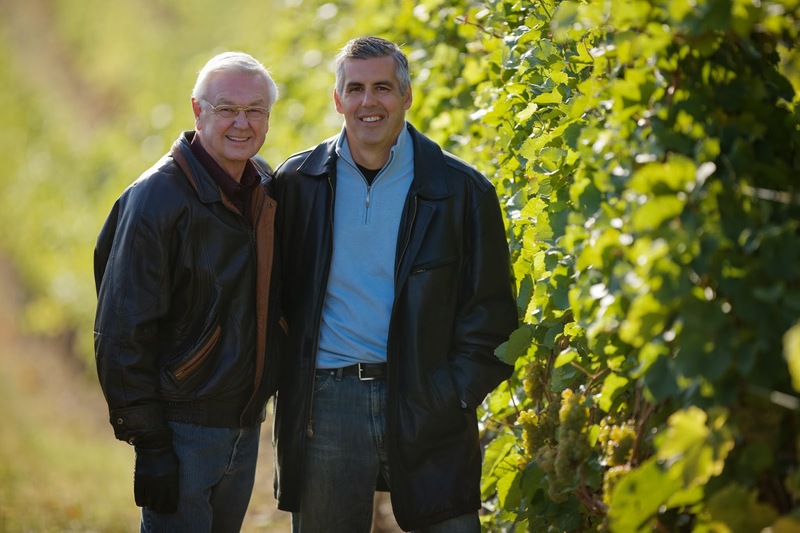 Tietzen partnered in 2006 with Mike Raffan (another restaurateur) to buy the winery from Gwen and Corey Coleman, who founded it in 2000 in Langley. They opened the Penticton winery in 2004. Both operate under the Township 7 name. Raffan, winemaker Bradley Cooper, and the other Township 7 remain with the winery under the new ownership structure. The winery made 7,000 cases in the 2013 vintage. Raffan plans to increase that in the coming vintage. Tietzen’s final role with Township 7 was piloting through the switch to the new label which is much stronger and effective than the label he and Raffan inherited from the Colemans (right). The new Township 7 label, which launched in December, certainly does that. The crisp white label dominated by an eye-catching red 7 signals quality far better than the understated former label. “The packaging before was too recessive, not iconic enough and didn’t feel assumptive,” Profero president Aaron Reitkopf said. “We went to the art director, Harry Garcia, who is an industrial graphic designer,” Tietzen said. “We gave him an outlook of what Township 7 was like, what it was about. He took us through a process that took about three months, with multiple revisions, with education about how different colours play. There is no doubt that the Township 7 wines now have more shelf appeal. As my notes on current releases indicate, the winemaker is delivering the quality that should move those wines off the shelf. Township 7 Sauvignon Blanc 2012 ($19.99 for 428 cases). If your taste runs to austere Sancerre, here it is – a wine with herbal aromas, flavours of herbs and grapefruit and a very dry finish. There is eight percent Muscat Ottonel in the blend to add a note of spice. 87. Township 7 Pinot Gris 2012 ($19.99 for 138 cases). While the wine begins with a restrained aroma, there are refreshing flavours of apple, pear and melon. The finish is crisp with a hint of spice from the dash of Gewürztraminer in the blend. 89. Township 7 Cabernet Franc 2011 ($29.99 to the T7 wine club only; 128 cases). Surprising for a winery that opened more than a decade ago, this is the first Cabernet Franc varietal from Township 7. It is a great start, a vibrant wine with great varietal expression. It begins with aromas of cherries and raspberries, leading to flavours cherry, boysenberry and blackberry. Because the wine is young, the initial texture is firm. But with decanting and exposure to air, the texture begins to round out. Cellar this for another five years. 90. Township 7 Merlot 2010 ($24.99 – and the 1,088 cases are sold out). If this wine is in your cellar, give it a few more years to achieve its potential. Having said that, it is already approachable, with aromas of vanilla, black cherry and oak and flavours of black currant and black cherry. The wine is full and richly concentrated. 90. Township 7 Cabernet Sauvignon 2010 Blue Terrace Vineyard ($25.99 for 738 cases). This wine begins with aromas of cassis and black cherry. The rich palate delivers flavours of black currant, black cherry and chocolate with hints of cigar box. I heeded the winery’s recommendation to decant this wine. It would be even better to cellar this for perhaps five more years. 91. A saying with which we are all familiar is that a riding tide lifts all boats. An icon wine performs that role for a winery’s portfolio. There might be no better example than the impact that Oculus has had at Mission Hill Family Estate. The first vintage of Oculus – the Bordeaux blend is named after the opening that looks onto the winery’s barrel cellar – was made in 1997. Cautiously, Mission Hill made just 500 cases, followed by 660 cases in 1998 and 1,000 cases in 1999, 1,330 in 2000. Since then, the winery has not released production figures. The production increases were as much a matter of the rising supply of premium grapes as they were of growing market acceptance of the wine. The debut vintage got a tepid 87 points from Winetidings Magazine. The next vintage garnered scores of 89 and 90, along with a gold medal at the All Canadian Wine Championships. Technical notes on each subsequent vintage show the winery’s ongoing efforts to refine the wine with such measures as longer aging in better barrels. This facility was equipped with oak vats (there are 17 now) that each have the capacity to ferment six tons of grapes at a time. A highly sophisticated destemmer was added, so that the berries seperated from the hand-picked bunches are the best quality and very clean. “Once we have gone through that mechanical sorting, the grapes get lifted onto a conveyer that is about the length of this table,” John says. “There are people on either side, sorting any other bits of pieces of stalks and stems.” The grapes drop into bins which are lifted to catwalks above the vats, allowing the grapes to fall in by gravity. That avoids pumping crushed berries. Fermentation temperatures are monitored and controlled by computer. The vats are equipped so that the winemakers can either punch down the cap or pump wine over it, as required. When fermentation is complete, the free run wine is drained away and the remaining skins are pressed gently in a basket press. It is designed to yield press wine of such a quality that some can be blended into Oculus. At the same time as Mission Hill was investing in the mini-winery, it was making evolutionary improvements in its vineyards. The driver was the need to grow the best possible grapes for Oculus and the other wines in its top of the line Legacy tier. In recent years, Mission Hill has taken infrared photographs of its vineyards from the air. These help identify the strongest blocks and also to direct the efforts that elevate grape growing in the other blocks. The production of Oculus and the Legacy wines sets the gold standard for viticulture and, in my view, pulls everything else up. The investment in the mini-winery also opened the door for Mission Hill to start making premium Pinot Noir like the 2011 Martin’s Lane Pinot Noir that garnered a major award in a London competition last fall. As a result, Mission Hill proprietor Anthony von Mandl is now giving serious consideration to building a winery just for Pinot Noir. 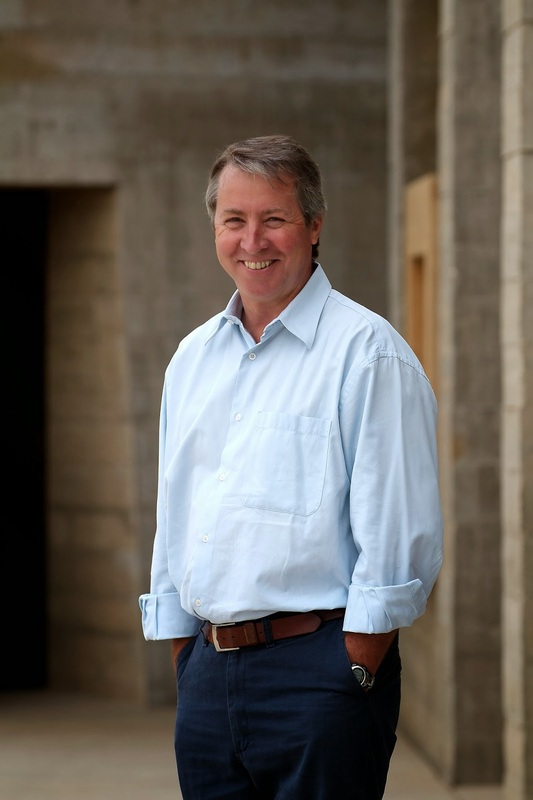 He has also hired Phil McGahan, an Australian winemaker who had been working at Williams-Selyem, a leading Sonoma Pinot Noir producer, to manage CheckMate Artisanal Winery. That is the new name for the Golden Mile winery formerly known as Domaine Combret. Anthony bought it in 2012 and operates it entirely independent of Mission Hill. Clearly, the Oculus project has had far-reaching ramifications for Mission Hill. Here are notes on an eclectic selection of recent Mission Hill releases. Most are from the winery’s entry level Five Vineyards range. Mission Hill Compendium 2010 ($50). The little brother to Oculus, Compendium has emerged as another collectible Bordeaux red. This vintage is 41% Cabernet Sauvignon, 38% Merlot and 21% Cabernet Franc. The fruit is from some of the winery’s best blocks on the Osoyoos and Black Sage Benches – blocks that have come to be called ‘Compendium’ blocks. The wine is fermented in the small French oak fermenters as Oculus, with three weeks of post-fermentation maceration on the skins. Then the wine ages 13 months in barrel and almost another year in bottle before being releases. I still took pains to decant the bottle, allowing it to reveal aromas of red fruit and flavours of black currant, blackberry, coffee, chocolate and cedar. There is a lovely core of sweet fruit on the palate, framed by the oak. 92. Mission Hill Reserve Sauvignon Blanc 2012 ($19.99). This vibrant wine begins with aromas of lime and grapefruit. The palate echoes those fruits, along with herbal notes on a finish that is crisp and refreshing. 90. Mission Hill Five Vineyards Chardonnay 2012 ($14.99). This is a crisp, fruit-forward Chardonnay whose citrus and apple flavours are very subtly supported by almost imperceptible oak. This is Mission Hill’s entry level Chardonnay; it over-delivers, having benefitted by the winery’s long focus on this varietal. 88. Mission Hill Five Vineyards Pinot Grigio 2012 ($15.99). The wine is surprisingly robust for a Pinot Grigio, even sporting a light bronze blush suggesting some skin contact. It has aromas and flavours of citrus, pears and peaches, with a crisp and spicy finish. 88. Mission Hill Five Vineyards Pinot Blanc 2012 ($14.99). Here is a textbook unoaked Pinot Blanc, with aromas and flavours of apples and grapefruit. The crisp finish is refreshing. 88. Mission Hill Five Vineyards Sauvignon Blanc 2012 ($14.99). This unoaked wine is an excellent expression of the varietal’s notes of herbs, grapefruit and lime. The finish is bright and zesty. 89. Mission Hill Five Vineyards Cabernet Merlot 2011 ($16.99). This is a blend of 47% Merlot, 29% Cabernet Sauvignon, 20% Cabernet Franc and 4% Petit Verdot. The wine was aged 11 months in French and American oak – probably used barrels because the wine explodes with fruit. There is red cherry and black currant on the nose; that carries through to the lively palate, where there also are notes of black berry and sage. 89. Mission Hill Five Vineyards Pinot Noir 2012 ($18.99). Juicy and silky in texture, this wine has aromas of cherries and strawberries, with flavours lightly recalling plums. The wine is straight forward and easy to drink. 87. Beaufort Vineyard and Estate Winery in Courtenay is the second winery within a week to announce it soon will have new ownership. 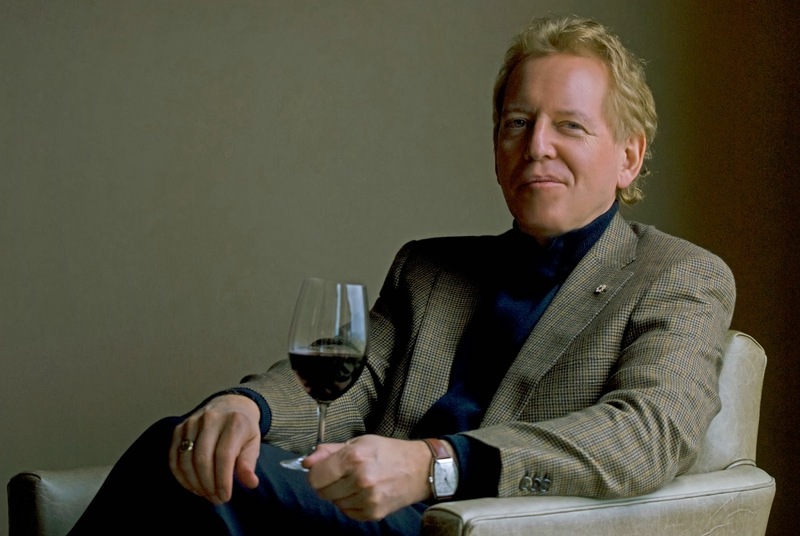 The first, announced last Friday, was CedarCreek Estate Winery of Kelowna which is being acquired by Mission Hill proprietor Anthony von Mandl. Is this the beginning of industry consolidation? Time will tell. At least a dozen other wineries are listed for sale. One industry insider has been quoted saying that 26 wineries are for sale – one in ten of B.C.’s licensed producers. Some have been on the market for several years. That may suggest that B.C. wineries may be priced too aggressively. It may also indicate that potential buyers are deterred by the surplus of B.C. wine that is just becoming apparent. Beaufort was opened in 2008 by Susan and Jeff Vandermolen, a talented couple who levered previous careers in the oil industry into opportunities to see the world. Picking grapes in the Loire in 1991 fired their interest in wine. That interest was consummated in 2005 when they bought an 84-acre farm north of Courtenay. After preparing the land, they planted 7.5 acres of grapes in 2007 (and they have added to that since). Using both their own grapes and grapes purchased in the Okanagan, Susan and Jeff quickly made a name for themselves with award-winning wines. Born in 1958 and 1959, Susan and Jeff are young enough for other adventures (they once piloted a sailboat across the Atlantic). That appears the motivation for putting Beaufort on the market, although they will continue to live in the Comox Valley. What is remarkable about the Beaumont and CedarCreek announcements is that they put the spotlight on the gap between the large number of wineries for sale and the small number that actually have sold. One 2013 transaction of which I am aware was the decision of Bordeaux’s Groupe Taillan to consolidate its ownership of Osoyoos Larose by buying the 50% owned by Constellation Brands, its former partner. The other was the ownership transition at Oliver Twist Winery, with Gina and Trevor Mitchell taking over from the winery’s founders, Denise and Bruce Hagerman. The Hagermans structured the sale in a way that made it affordable for the youthful Mitchells. Winery owners having trouble selling might consult with the Hagermans. Bonitas Winery at Summerland has been on the market for two or three years, originally at $8,888,000. It comes with eight acres of vineyard, a winery with a restaurant, an executive home and private waterfront on Okanagan Lake. Castoro de Oro Estate Winery, a highway-side winery midway between Oliver and Osoyoos with a mature seven-acre vineyard. It is listed for $2.5 million. 40 Knots Winery in Comox. This winery, which is on a 23.5-acre property with a large vineyard, opened in 2011. Owner Bill Montgomery has it listed for $4,900,000. Glenterra Vineyards in the Cowichan Valley. This winery, which opened in 2000, is on the market because principal John Kelly would like a career as a consulting winemaker and leave the headaches of management to someone else. The winery comes with 5.5 acres of grapes and a boutique winery that includes a bistro. Asking price: $1,997,000. Herder Winery & Vineyards near Keremeos. This winery, on the market after the partnership dissolved, comes with nine acres of vines, a house with a winery in the basement and solid reputation. It is listed for $3.5 million. Hidden Chapel Winery near Oliver is also on the market after one of the partners left the business. The winery comes with 3.5 acres of Cabernet Sauvignon and a charming wedding chapel. Listed price: $1,590,000. Marichel Vineyard is a Syrah and Viognier producer that opened on Naramata Road in 2007. The 18.4-acre property has spectacular views of the lake from the vineyard. Listed price: $3,980,000. Mistaken Identity Vineyard, one of three Salt Spring Island wineries, is on the market after a falling out among the partners. The 9.5-acre property includes an organic vineyard. Listed price: $2,100,000. Cliff Broetz, one of the owners, says the issues amongst the partners has nothing to do with the reasons that the winery is for sale, With new management at the winery and with a good crop in 2013, "we can honestly say that the outlook for our venture is better than ever and the right ingredients are all in place." The Rise Cellars in Vernon. This was conceived as part of a real estate development that ran into financial difficulty. The property is 57.5 acres and includes 17.5 acres of vines. Grapes have been sold to other wineries for several years. Listed price: $2,960,000. Saturna Island Vineyards. This scenic 78-acre property, about half in producing vineyards, has been on and off the market for years. Listed price: $7,900,000. Sonoran Estate Winery has been on the market because the founders, Arjan and Ada Smits, would like to retire. They own three properties, one of which was already listed in 2009. It comes with a 4.5 acre vineyard, a winery building, a nine-bedroom home and private frontage on Okanagan Lake north of Summerland. A recent listing has an asking price of $3,600,000 for the current winery, located in Summerland. Tangled Vines Estate Winery near Okanagan Falls, with eight acres of vineyard, has struggled for several years despite being across the street from two destination wineries (Wild Goose and Stag’s Hollow). Listed price: $997,000. The Vibrant Vine in Kelowna, which opened in 2010, comes with an 11 acre vineyard and baronial home with a view. Listed price: $9,500,000. This is hardly an exhaustive list. I am aware of others that are for sale. These are often struggling wineries that opened for romantic reasons at a time when there was far less competition. Mistaken Identity's Cliff Broetz, in responding to this post, offers a succinct analysis of the problems that have so many winery owners looking for new ownership. "What we can't control are the bigger picture issues," he writes. "How hard it is to interpret and comply with onerous regulation; how it remains virtually impossible to get critical help from our own BC Liquor Distribution Branch when it would clearly be for the greater good; how we are buried in compliance costs that our competitors from outside BC are not facing; how the taxes and fees we pay put us at a large competitive disadvantage; how hard it is to sell in our own country; how the big players in our market interpret the rules ( wrongly I think) to their advantage while keeping the small players small; wrong minded ideas like 'cellared in BC'." He argues that: "BC could have a much stronger and more vibrant wine industry. Grapes we can grow on the coast and wines we can make are vastly different than our Okanagan competitors. Not better, but different. And it is this difference that COULD make BC known as a vibrant, varied and high quality player in the world of wine. Considerable change is needed. Initiatives that help the small and talented players gain a strong foothold while they develop the potential of our industry. Economic incentives that would render long term paybacks for all stakeholders. Rule changes that would enable us to be stronger in the Canadian marketplace rather than being treated as an import in provinces such as Ontario. BC could be so much further ahead. It would take vision. A vision best developed from the ground up (no pun intended) and not from the offices of bureaucrats." There is a lot there that needs addressing. I am not sure I saw many of the industry's issues addressed in the recent changes to BC liquor policy. CedarCreek Estate Winery is being purchased by von Mandl Family Estates, the new holding company of Anthony von Mandl, the owner of Mission Hill Family Estates. No purchase price has been disclosed for the transaction, which is expected to close early in February 2014. Von Mandl is buying the CedarCreek winery and its vineyards in East Kelowna and Osoyoos. The purchase does not include the Greata Ranch Winery and vineyard near Peachland. The Fitzpatrick family will continue to operate it. This transaction could touch off other consolidations in the Okanagan and the Similkameen where almost a dozen wineries are listed for sale. One industry veteran recently said that as many as 26 wineries are for sale. Von Mandl (right) has been part of the Okanagan wine industry since he purchased Mission Hill in 1981. He spent a decade turning around a winery that previously had been in receivership twice. In 1992 he hired a winemaker from New Zealand, John Simes who made a Chardonnay in his first Canadian vintage that won a major medal at a London competition, putting Mission Hill on the map. Since then Mission Hill has acquired about 800 acres of vineyards in the Okanagan and has rebuilt the winery totally to support premium wine production. It has also become one of the leading wineries for wine tourism. CedarCreek has been owned by the Fitzpatrick family since 1986. Ross Fitzpatrick, who was born in the Okanagan in 1933, took over six-year-old Uniacke Wines, one of the earliest of the Okanagan’s estate wineries. The senator’s son, Gordon, was named CedarCreek’s president, freeing up Ross for his other business activities and his work in the Canadian senate. Like von Mandl, the Fitzpatricks had taken on a major turnaround at a time when some believed the British Columbia wine industry had a dismal future. CedarCreek redeveloped its East Kelowna vineyard and, after 1998, invested $4 million to rebuild the winery. The money spent on vineyards and winemaking equipment, along with the hiring of California winemaker Tom DiBello in 2000, paid big dividends. CedarCreek was twice Canada’s winery of the year in the leading national wine competition. Mission Hill has won the same award three times. DiBello left in 2010 (he is now at Burrowing Owl) and was succeeded by Darryl Brooker, an Australian-trained winemaker (left)..
CedarCreek, which has about 110 acres of vineyard, has been producing about 35,000 cases of wine, about a tenth of Mission Hill’s volume. The flagship varieties at Mission Hill include Chardonnay and Pinot Noir. The latter variety has a rising profile in Mission Hill’s portfolio. The winery’s Martin’s Lane Pinot Noir recently brought home a major award from the Decanter competition in London. “We have placed CedarCreek in very good hands,” Senator Fitzpatrick said in the news release. The announcement by the two wineries gave no reason why the Fitzpatricks did not sell Greata Ranch, which is creating a portfolio of sparkling wines. The likely explanation is that Greata Ranch is as much a real estate play as a winery. The vineyard occupies only a small part of the 109 acre property. The Fitzpatricks have drawn up detailed plans for a luxury residential development on the property, which has almost two kilometres of Lake Okanagan water front. The 2008 recession led to the project being shelved. Von Mandl Family Estates was created last year as the management company for select wineries controlled by Anthony von Mandl. Currently, the wineries under that umbrella are Mission Hill, CedarCreek and CheckMate Artisanal Winery (the former Domaine Combret). A recent tasting of wines from Le Vieux Pin and LaStella wineries proved to be a mini-tour of recent vintages by Rasoul Salehi, the passionate spokesman for the sister wineries. “You know that the trio of super atypical vintages began in 2009 and ended in 2011,” he said. The 2009 vintage was hot and early, which was fortunate because nearly all of the fruit was picked or was ready to pick when a hard freeze on the Thanksgiving weekend ended the growing year abruptly. The next two vintages started with late springs and were basically cool years, yielding wines with much lower alcohols that 2009. His comments provide a window on the challenge of Okanagan viticulture. The quality of the wines from these two producers shows that they are clearly up to meeting those challenges. The first three wines tasted were from the splendid 2012 vintage and the others were from 2011. (Some of these wines have been released; many are being released this spring or even this fall.) All are made by Severine Pinte, the French trained winemaker at both wineries. The cooler 2011 vintage, which benefitted from a long and warm autumn, produced some atypical wines, among them a pair of Syrahs with alcohol levels between 12% and 13%, easily two percent lower than 2009. Rasoul calls them “Syrah for Pinot Noir lovers” because the wines not as powerful as in earlier years. But as his reference suggests, the wines have elegance and charm – so much so that he thinks the Équinoxe Syrah may be the best yet from Le Vieux Pin. Without the full range in front of me, I could not offer such a judgment. But there is no doubt it is an excellent wine. Cabernet Sauvignon in 2011 needed help in order to taste ripe. Le Vieux Pin reverted to the old Bordeaux tradition and “hermitaged” its Cabernet with 20% Syrah. The resulting wine is called Retouche, or touched up. Bordeaux does not do that any more but in other areas where this practise is not forbidden, there are many terrific blends of Cabernet Sauvignon and Syrah. It is interesting to note that Merlot showed itself once more to be a reliable workhorse in the Okanagan, even in a cooler year. The LaStella Allegretto Merlot 2011 has a robust 14.6% alcohol. Le Vieux Pin Petit Sigma Blanc 2012 ($19 for 750 cases). This is remarkably complex blend of Sauvignon Blanc, Viognier, Pinot Gris, Marsanne and Roussanne. It begins with fresh and appealing fruity aromas, leading to flavours of tangerine, melon and apple. The texture is generous and the finish is crisp and refreshing. 90-91. 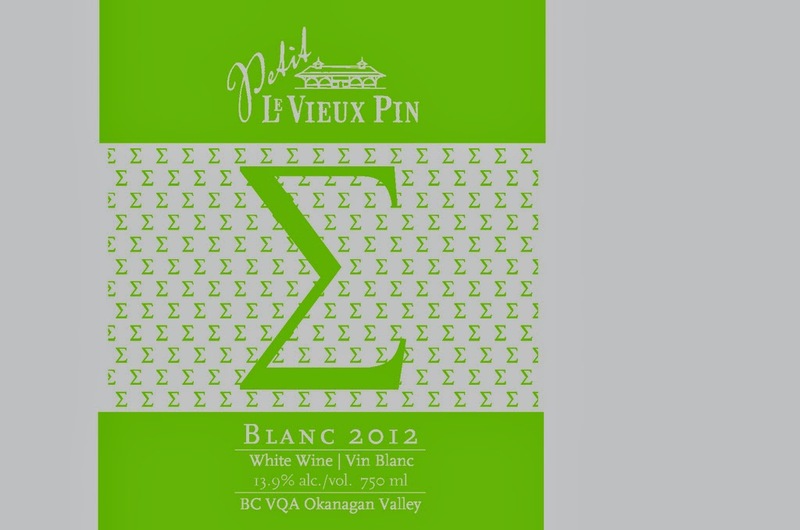 Le Vieux Pin Ava 2012 ($35 for 680 cases) The blend is 61% Viognier, 21% Roussanne and 18% Marsanne. This wine, which will be released in the spring of 2014, is barrel-aged and closed with cork. It is already an elegantly polished wine with an intriguing hint of white pepper in the aroma and on the finish. In between, there are flavours of citrus, melon and apple. The generous texture gives the wine good weight on the palate. 92. Le Vieux Pin Équinoxe Chardonnay 2012 ($60 for 75 cases). Destined for release in April 2014, this wine shows exceptional harmony, with citrus aromas and with flavours of citrus and apple. The moderate time in barrel has added a buttery note to the flavour and polish to the texture. 91. Le Vieux Pin Syrah 2011 ($45 for 374 cases). For release in the spring of 2014, this is an elegant Rhone-style red with only 12.7% of alcohol. The wine begins with aromas of white pepper and floral berry aromas. On the palate, there are flavours of cherry and blackberry. The wine is medium-bodied but the flavours are ripe. 90. Le Vieux Pin Équinoxe Syrah 2011 ($80 for 268 cases). This will not be released until October, 2014, even if it is already drinking well. The wine begins with aromas of menthol, balsam wood and cherries. It has gamey rare meat flavours, along with notes of cherry, raspberry and blackberry and with white pepper and spice on the finish. The alcohol is just 12.9%, perhaps enhancing the elegance of the wine. 93-95. Le Vieux Pin Retouche 2011 ($65 for 62 cases). This will be released in about a year. The wine is mostly Cabernet Sauvignon that, in the former tradition of Bordeaux, has been “touched up” with 20 percent of Syrah. The wine begins with classic minty Cabernet Sauvignon aromas. On the palate, the black currant flavours also show a touch of mint. The addition of Syrah probably accounts for the supple and ripe texture. 91. LaStella Allegretto Merlot 2011 ($50 for 125 cases). With 14.6% alcohol, this is a testament to the ability of Merlot to get ripe if farmed well. This juicy wine has aromas and flavours of blueberry and cherry. The fruit and texture are concentrated and there is enough of backbone of ripe tannin to let the wine develop over the next five years. 90. LaStella Fortissimo 2011 ($35 for 857 cases). This is the winery’s Tuscan inspired red. The blend is 71% Merlot, 22% Cabernet Sauvignon, 6% Cabernet Franc and 5% Sangiovese. It has the “dusty” aroma and dry finish that recalls good Chianti. It has aromas and flavours of cherry, cranberry and red currant. Aged in Slovenian oak, this wine has been finished with a rustic elegance that really does echo Tuscany. 91. The Vibrant Wine, a Kelowna winery that rarely enters wine competitions, has just won a platinum award and best in class for white wines at the massive World Beverage Competition in Switzerland. Wyn Lewis, who owns the winery with his wife, Marion, is so new to competitions that he had to research the bona fides of the WBC. Well, it is the real deal. It was launched in 1991. It now gets more than 10,000 beverage entries and the judging is done blind by qualified judges. For The Vibrant Vine, this is a significant achievement. The irony is that wine was entered inadvertently by TricorBraun, the winery’s bottle supplier. WBC also includes a packaging competition. In 2012, TricorBraun entered a Vibrant Vines package and came away with a silver medal. The bottle company decided to enter again in 2013 and got two bottles each of three different wines from the Kelowna winery. Whether by chance or design, the wines ended up in both competitions. The result: a bronze medal for the package and a platinum for a white blend called Oops? The Lewises, originally from Wales, had long and successful careers in banking in the United States before retiring. They were en route to Victoria in 2003 when they stopped in Kelowna. They were so taken by the Okanagan Valley that they stayed, buying an East Kelowna property with an orchard, a big house and a grand view. They soon switched the orchard to vines and, with son Anthony as winemaker, developed a winery which opened in 2010. Another son, Phil, is the artist whose psychedelic work was used for wine labels. These are no ordinary art. Both the canvasses for sale in the winery and the art on the bottles are done in a 3-D technique. Every visitor to the winery is loaned a pair of 3-D glasses in order to appreciate the art. Nor are these ordinary labels. Every label is a shrink-wrap cylinder put on the bottles by hand and then shrunk in place with heat. TricorBraun has been putting the package into competition because it is so seldom used for wine bottles. When TricorBraun told Wyn that one of his wines had earned the platinum award, they did not know which of the three entered wines it was: the Riesling, the Gewurztraminer or the blend called Oops? It was several days before WBC told Wyn, by which time he was almost ready to issue a press release about the Gewürztraminer. That wine had won a medal in the Finger Lakes Wine Competition in one of the few other times The Vibrant Wine has competed. He should have guessed it might be Oops? While all other wines here are dry, this blend of five white varieties lead by Riesling and Pinot Gris, was finished off-dry, in the style of a Mosel Riesling. He learned that consumers may talk dry but they often drink sweet. “It was not my favourite wine,” Wyn says candidly, “but it sold like crazy.” With the residual sugar helping to pop the aromas and the flavours, Oops? outsold the other wines in the tasting room three to one. By late summer, it was sold out. “We are set to make as much as we can from the 2013 vintage,” says Wyn, who anticipates a rising demand for the wine after the 2012 vintage scored so well at the WBC. Why is it called Oops? Last year when the winery was preparing the bottles, a staff member inadvertently put the slip covers on upside down. The error was noticed during the run. The staff thought it looked good, this being quite edgy art, and did the entire run that way. When Wyn discovered what had happened, he reacted as one might expect. Then he cleaned up the language and called the wine Oops? Now he has a winner on his hands.